In 1941, to meet the need for a portable R.D.F. (Radar) warning set in the field to detect approaching aircraft, a number of ‘pack-sets’ were constructed using standard Air to Surface Vessel – ASV (aircraft to ship) radar units. The range was limited to 15-20 miles for aircraft flying at 10,000 feet. 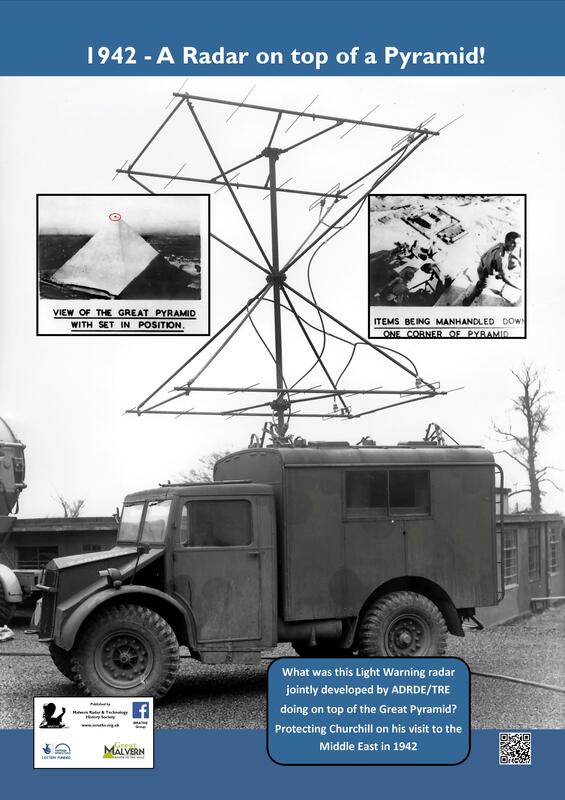 In January 1942, TRE commenced preliminary work to produce an improved light warning set (LWS). This picture gives general view of an LW Set installation in a vehicle. The new set was designed to work at a frequency of 176MHz. 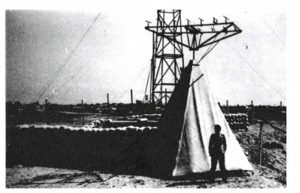 The transmitter and aerials were developed at Metropolitan Vickers. 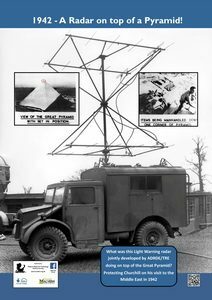 TRE developed a nine-inch radar operator display (Plan Position Indicator – PPI). Designs for turning gear and aerials were largely taken over by TRE. The receiver was a standard 1½ meter ASV equipment. TRE Scientist Dennis Wormald stands in front of a LWS which he deployed in Crete before the German airborne invasion. 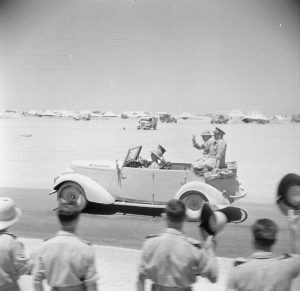 In August 1942 Winston Churchill visited UK troops in Egypt prior to the Battle of El-Alamein. 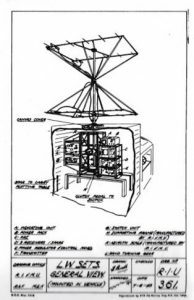 As part of his protection a LW Set was installed on the top of the Great Pyramid.